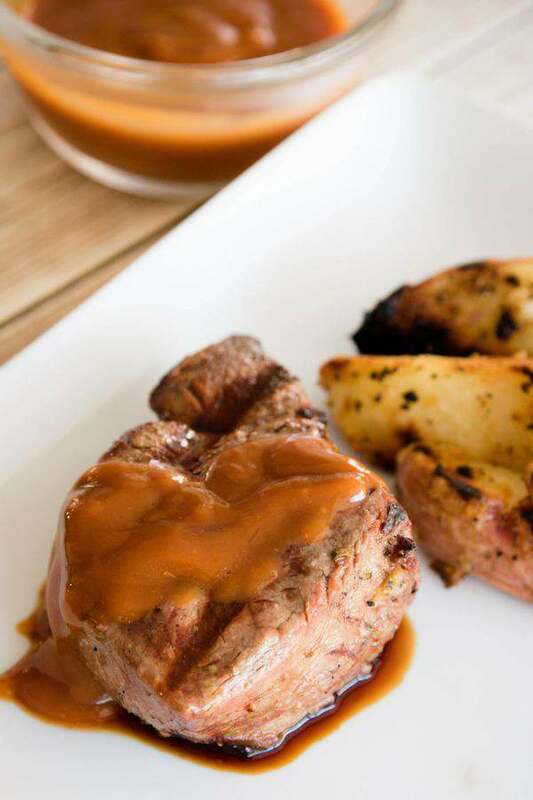 Do you love a really good grilled steak as much as we do? I know I use to fret over how to prepare them, but now that I have learned the proper way to grill a steak, there is no reason not have them at home. It’s really easy to prepare and grill a steak. We purchase our meat at Sam’s Club since they have Angus beef there. In our area, their meat is the best around with the best prices. I prefer a fillet and hubby is a Rib Eye kind of guy. 1. Make sure your meat is room temperature before grilling – I pull out the frozen steaks and let them start the thawing process. I will then take the thawed, but still really cold steaks and lay them in a dish and pour Italian dressing on them to marinate a couple hours before I grill. The vinegar in the dressing breaks down the muscle in the meat to tenderize it. 2. Clean the grill with a wire brush – Turn on the grill on high if using a gas grill, and let it heat up for a few minutes. 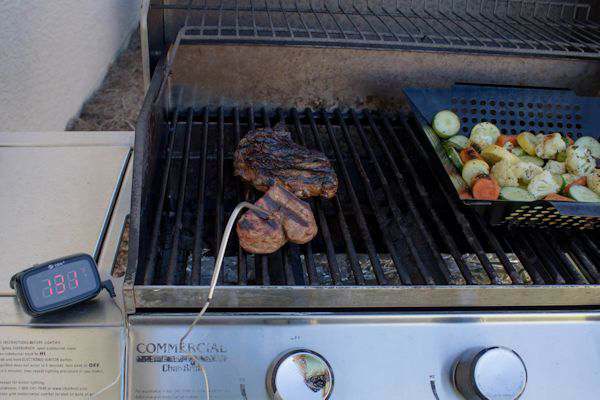 Take your grill wire brush and clean the grate well before grilling. Close the lid and let the grill heat up again. 3. Don’t play with the steaks while they are cooking – By that I mean, don’t turn them over a lot or poke them with a knife to see how they are cooking. I know people like to touch their meat to see how they are cooking, but I don’t quite understand that process yet. I put the steaks on a very hot grill and cook for 5 minutes on one side. I then turn them over and check with a meat probe thermometer and cook until the desired doneness we like. I have found the thermometer is the key to getting the most perfectly cooked steak. For a thicker cut of steak, such as a fillet – For rare, remove steaks at 120°F – 125°F; medium rare 125°F – 130°F; medium 130°F – 135°F. When my steak reached 135°, I will take both steaks off the grill. If you love to grill veggies, a grill basket is a must. 4. Let the meat rest after taking off the grill – The last, but one of the most important steps is to let your meat sit for 5 to 10 minutes. This will let the juices distribute throughout the steak. I prefer my steak with just a bit of salt and pepper and just enjoy the flavor of the meat. Flavored butter is also a good choice. 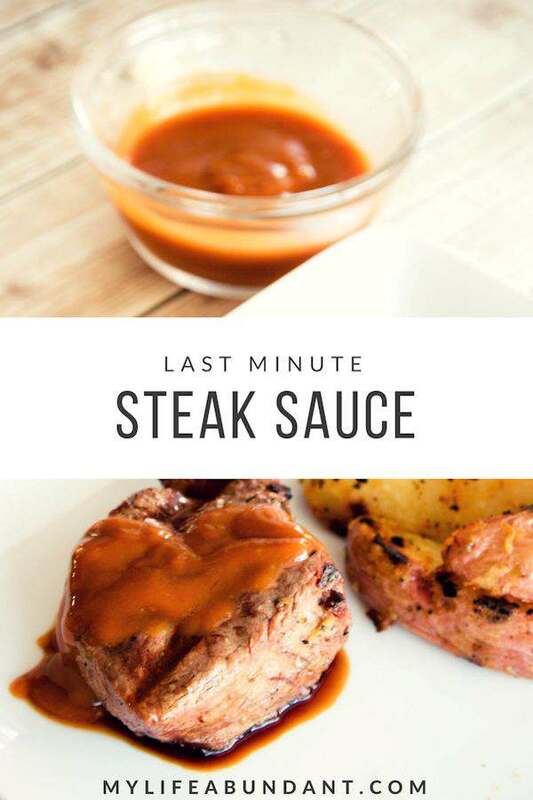 But hubby loves a tangy steak sauce on his and since I love to make my own sauces, here is my version of steak sauce with ingredients you usually have in your home. Mix together and chill. Server over steak, hamburgers, etc.